From Pīhā in the west, to Cockle’s Bay in the East and from the southern side of the Auckland Harbour Bridge to Manurewa in the south, that’s the region of Tāmaki Makaurau. It includes Auckland city and Manukau, but does not include Papakura. Labour Party's Peeni Henare is the incumbent MP for Tāmaki Makaurau. Previous result in Tāmaki Makaurau. 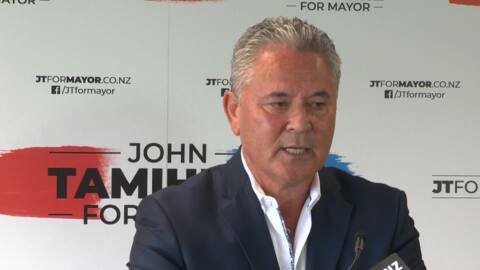 Former ministers of opposing political parties, John Tamihere and Christine Fletcher have joined forces to run for the Auckland mayoralty. The pair announced their campaign with former National Minister Fletcher, set as the former Labour Minister, Tamihere's deputy. Can Labour make Northcote see red? With only two days till the Northcote by-election, Labour is pulling out all stops with the Prime Minister, Jacinda Ardern joining their party candidate Shanan Halbert on a walkabout to meet the locals. Māori Party co-leader Marama Fox is considering standing in the Māori electorate of Tāmaki Makaurau. It's been 150-years since the Maori seats were established, now Māori political advocacy group Te Ata Tino Toa is campaigning to increase registrations on the Māori Roll with the aim of creating an eighth Māori seat. A relaxed Peeni Henare hits the dance floor among his supporters at Auckland’s Mahurehure Marae. He was way ahead in the polls, but former rugby league star Howie Tamati of the Māori Party fell short of victory. He lost the Te Tai Hauāuru race by 1,135 votes to Labour’s Adrian Rurawhe. Labour Party Deputy Leader Kelvin Davis is not bothered by critics' claims that Labour has historically not served Maori, or that 15 Māori Labour MP's will make little difference in Parliament. Peeni Henare (Ngāti Hine, Ngāpuhi) is the incumbent MP for Tāmaki Makaurau and is competing against Marama Davidson for the Green Party and Shane Taurima for the Māori Party. 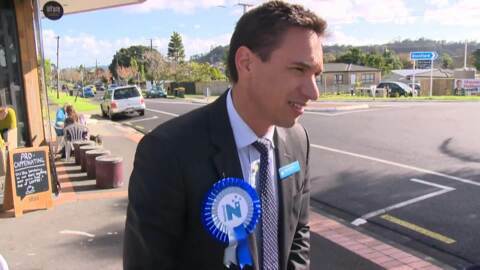 The Māori Party's candidate for Tāmaki Makaurau, Shane Taurima, first entered politics in 2013 when he contested the Labour Party candidacy for the Ikaroa-Rāwhiti by-election. Over the past few weeks New Zealanders have exercising their democratic right to vote for their preferred government for the next three years. However for some of the country's most impoverished and needy, voting is not a priority. Incumbent Tāmaki Makaurau MP Peeni Henare labelled the Māori Party and the Greens promise to push hard and fast for a living wage as unrealistic. Māori Party candidate for Tāmaki Makaurau Shane Taurima says a special Auckland wage is required to cope with the cost of living in the country’s most expensive city.